The rescuers have not found the hazardous substances after the check of Kharkiv school #3 where the mass poisoning of the pupils took place. Ihor Lupandin, the spokesperson of the Kharkiv Department of the State Emergency Service claimed this as 112 Ukraine reported. According to him, 37 pupils of 6-9 forms requested the assistance of the doctors, 26 of them were sent to the hospital for the examination. The rescuers, police officers, doctors and representatives of 'Kharivgas' work at the site. 'The specialists took measurements and the hazardous substances are not found at the moment', Lupandin specified. The press service of the local police reported that the criminal proceeding due to hooliganism was opened. The circumstances of the incident are under establishment. Uliana Suprun, the acting Healthcare Minister specified on Twitter that one child is in the critical condition. 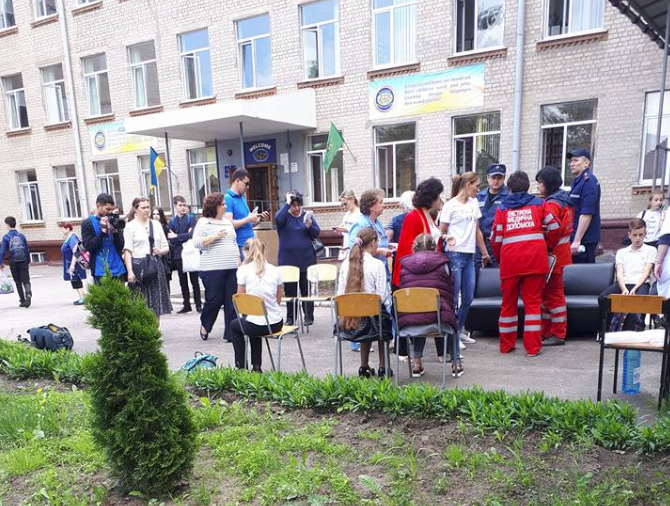 As we reported in the result of spraying of an unknown gas, 31 children of Kharkiv school №3 turned to doctors for help, 15 of them were sent to the hospital. Earlier such incidents took place in Mykolaiv and Cherkassy.